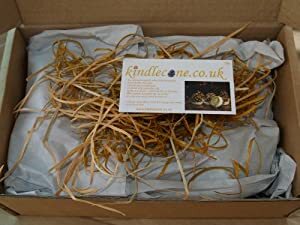 We are happy to stock the fantastic Kindlecone - Natural Pine Cone Firelighters - Spring Meadow - Box Of 12. With so many available right now, it is good to have a brand you can recognise. 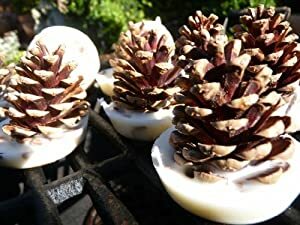 The Kindlecone - Natural Pine Cone Firelighters - Spring Meadow - Box Of 12 is certainly that and will be a perfect purchase. 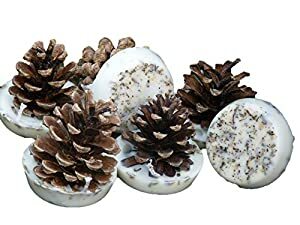 For this great price, the Kindlecone - Natural Pine Cone Firelighters - Spring Meadow - Box Of 12 is widely respected and is always a regular choice with most people. kindlecone.co.uk have provided some excellent touches and this means great value. 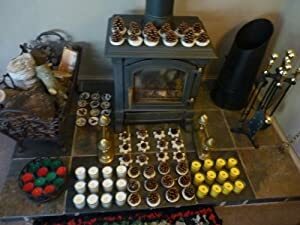 They are packaged in an eco-friendly cardboard box lined with tissue paper and will have your open fire, log burning stove, chiminea, fire pit, fire bowl, brazier, multi fuel stove or camp fire blazing in minutes. The Kindlecone is so beautiful that you won't want to burn it! 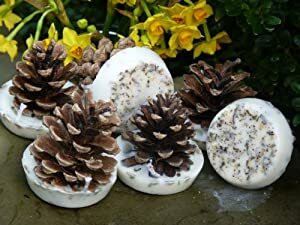 They look great on display and will give off their scent even before you use them. Handmade in Warwickshire the Kindlecone is a great idea to save you from buying chemical fire lighters and it is a whole lot better for your family's health. 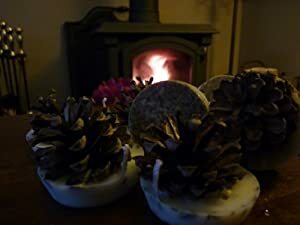 Soy wax gives off 90% less soot than paraffin firelighters which is better for your chimney or flue. 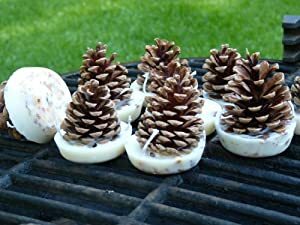 It is important to note that these are firelighters, not candles! How to use 1. 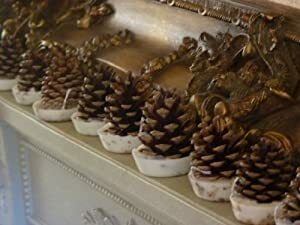 Place the kindlecone in the middle of your fire grate, bowl, hearth etc. 2. Lay kindling up against the kindlecone to make a pyramid shape - "the pointy mountain" ! 3. Light the wick of the kindlecone. 4. When the kindling is fully ignited, lay fresh kindling on top followed by your chosen fuel - logs, coal, peat etc. 5. Close the door and pour yourself a nice cup of tea or an ice cold beer ! WARNING: Never leave fires unattended. Do not eat. Keep away from children and pets. 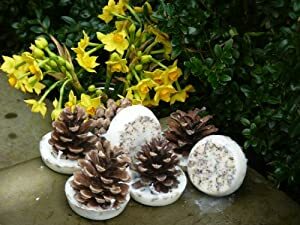 These kindlecones capture the magic of spring, with essential lavender oil, english lavender flower heads, rosemary, thyme and marjoram.